10 years & up. Peer through the microscope lens and dive into an amazing new world. This sturdy, Dual-LED Microscope by Thames & Kosmos is designed to help kids learn about the fascinating structures, bizarre patterns, and unexpected details that normally go unseen in their surroundings. 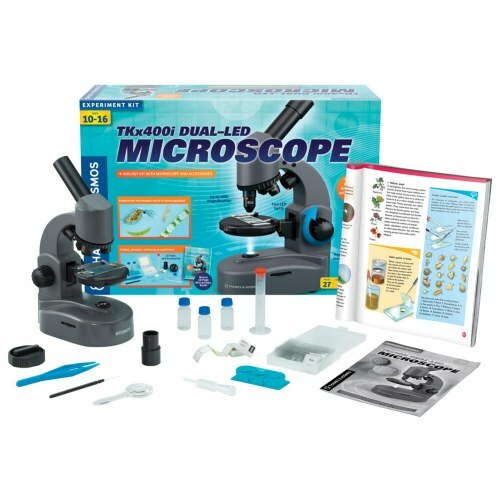 Microscope features: Durable, plastic body, 2 Bright LED lights above and below, 40x, 100x, and 400x magnification options, 4x, 10x, and 40x objective lenses and a 10x ocular lens.